[#Graphics #Tutorial] Create Mysterious Angel Artwork in #Photoshop » WHUZZUP! Learn how to create this beautiful photo manipulation of appearance of an angel in Photoshop. 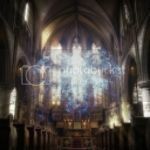 In this tutorial, you'll learn how to create amazing atmosphere with realistic effects and a unique effect for the angel. We will study the limitless possibilities of adjustment layers and blending modes. Create effects, use a lot of interesting tricks and techniques, tools and much more!